The Central West Youth Justice Service Centre has partnered with PCYC Emerald to deliver a unique art program to help a young person in their region. The Roma Child Safety Service Centre team is sporting new t-shirts featuring the artwork of a young Aboriginal artist they support. Young people participating in the Western Districts' T2S program built a BBQ trailer to give back to their community, learning important skills in the process. An 8-week trial program that increased the availability and choice of activities for at-risk children aged 8 to 12 years old has been extended due to its success. Joanne Borg has won a Child Protection Week 2018 Award for her Reconnection project. We're saying thank you to more than 5000 Queensland foster and kinship carers for their dedication and commitment. Have your say on how we can better prevent sexual violence in our communities. 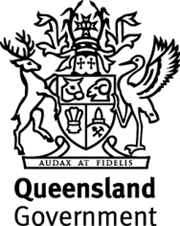 The Queensland Government is transforming the state’s child protection and family support system to help families care for their children and make Queensland the safest place in Australia to raise a child. Based on the recommendations of the Special Taskforce on Domestic and Family Violence in Queensland, we are leading a 10-year reform program to put an end to domestic and family violence in partnership with the non-government sector, business and the Queensland community. We’re keen to hear about your experience with us. Do you have any ideas about how we can improve our service?